I have to admit, I’ve always wanted an excuse to make a grand ol’ birthday cake. I’m a bit obsessed with looking at super elaborate cake creations online, but being able to recreate them is a totally different story! In the meantime, this is my go-to cake for birthdays, or any event that calls for celebration really. 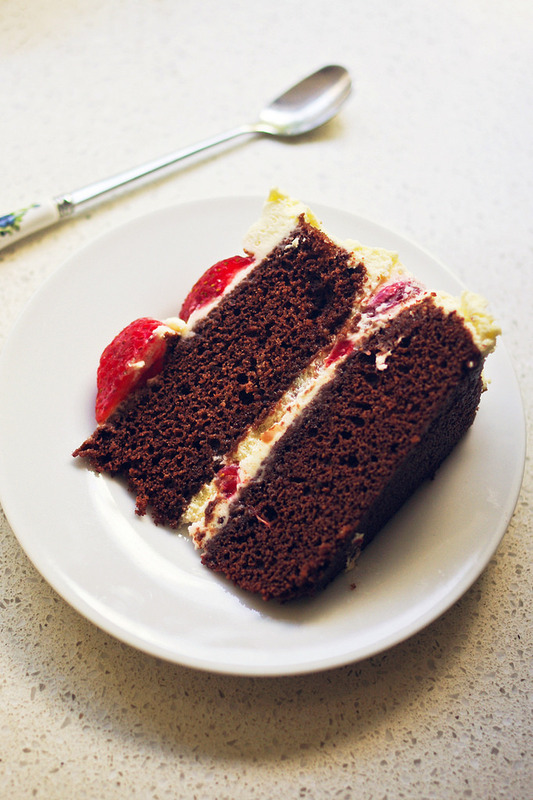 While it may be on the simple side, it’s chocolatey, decadent, and involves strawberries and cream, one of my favourite combinations in the world. Not to mention, it’s a total crowd-pleaser every time. Read on for the recipe! 1. Preheat your oven to 180°C (160°C fan-forced). Spray a deep 22cm round cake pan with the cooking spray, and then line the base with non-stick baking paper. 2. Sift your cocoa powder into a bowl. Gradually add the water, stirring to form a smooth, thick paste. Set aside. 3. Beat the butter, sugar and vanilla essence in a medium mixing bowl for 1-2 minutes or until pale. Add the eggs one at a time, making sure everything’s well combined. 4. Sift together the flours. In two batches each, spoon the flour into the butter mixture and alternate with the cocoa mixture. Mix until well combined, then spoon the mixture into the prepared cake pan and smooth the surface with the back of the spoon. 5. Bake for 45 minutes or until a skewer inserted into the centre of the cake comes out clean. Stand for 3 minutes before turning out onto a wire rack to cool. 6. Using electric beaters, whip the heavy cream until stiff peaks form. When it’s almost finished, add the icing sugar and mix until well combined. 7. Using a sharp knife, cut the cake in half horizontally. 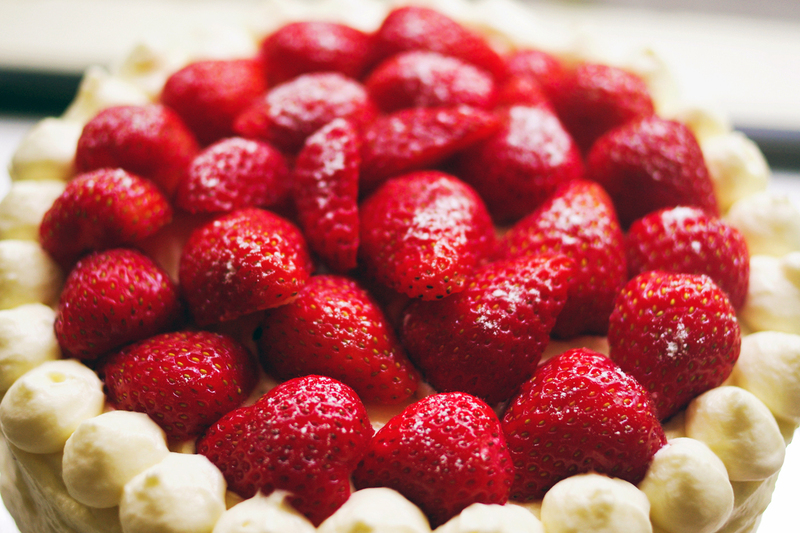 Spread the cut layer of each cake with whipped cream, then liberally cover with cut strawberries and extra. Sandwich the cake together, then ice everything with the remaining whipped cream. 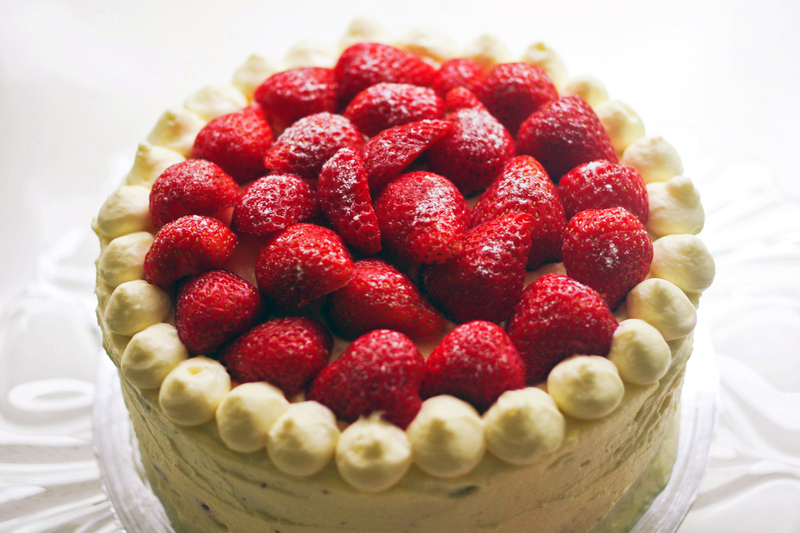 If you like, use a piping bag to add dollops of cream around the edges. 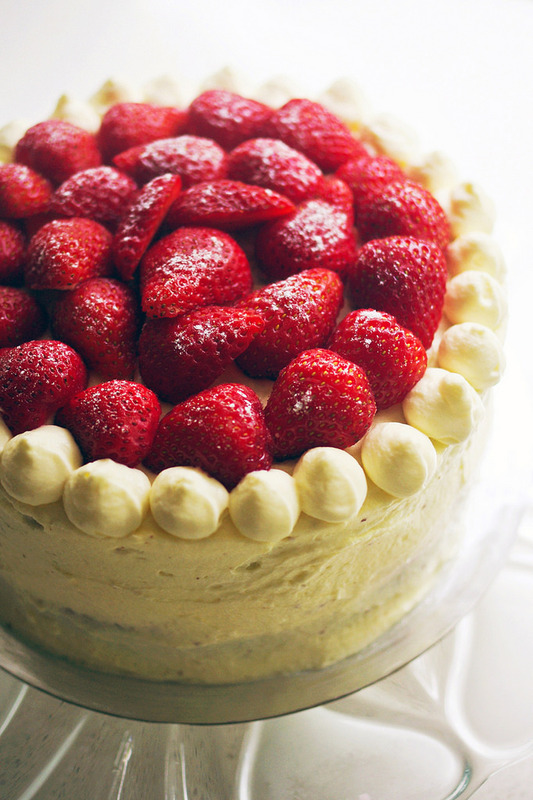 Decorate with strawberries and icing sugar. I don’t know what it is, but this cake even has the fussiest of eaters coming back for more. My family pretty much polished it off on both occasions when I made it, and thank goodness for that! It’s so huge that I’d never be able to finish it on my own. Anyway, happy baking!